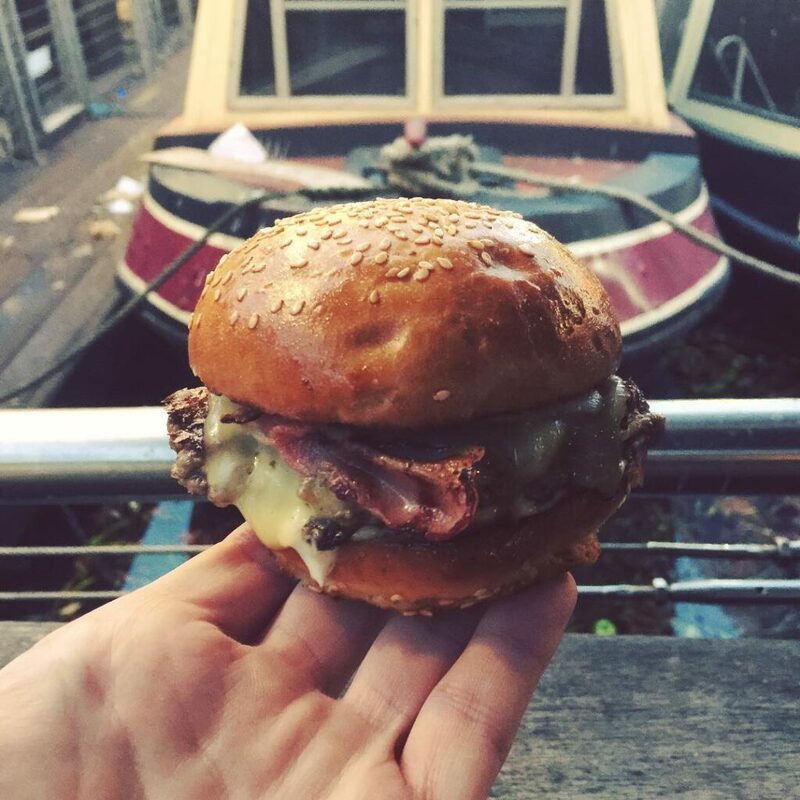 Burger joints are a dime a dozen here in London, so you reaaaaally have to stand out to get noticed! Well, it’s exceptionally hard not to notice these guys as I have been bombarded with pictures of their monstrous burgers for the past few months on Instagram, psst follow me here. 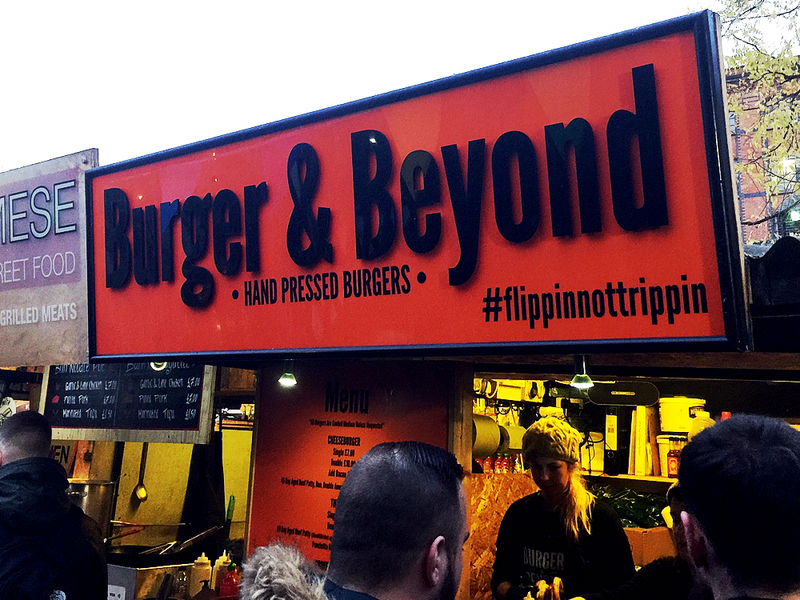 Yesterday, as a Friday treat, I popped over to Camden market to see what Burger and Beyond are like. As I was walking around, trying to find the place, I noticed a girl taking pictures of a burger in her hand that looked just like the burgers taking over my Instagram, so I followed her and arrived, waiting to fill my belly on this burger I have lusted after for so long! Their menu is as how you’d expect it, no fuss and simple. I ordered ‘The Cliff’ burger with a single patty thinking this would be fill me up. A tenner for this and £3.50 for some crinkle cut chips, on the side. Ok, so moving on from my initial let down, I found a spot to taste this “monstrous” burger and to be fair, the burger was one of the tastiest I have eaten in London, the 90 day aged meat (Chuck & Brisket) was flavoursome, cooked nicely and the bacon, monterey jack cheese and tarragon mayo were a lovely addition. The thing is just bursting with flavour! 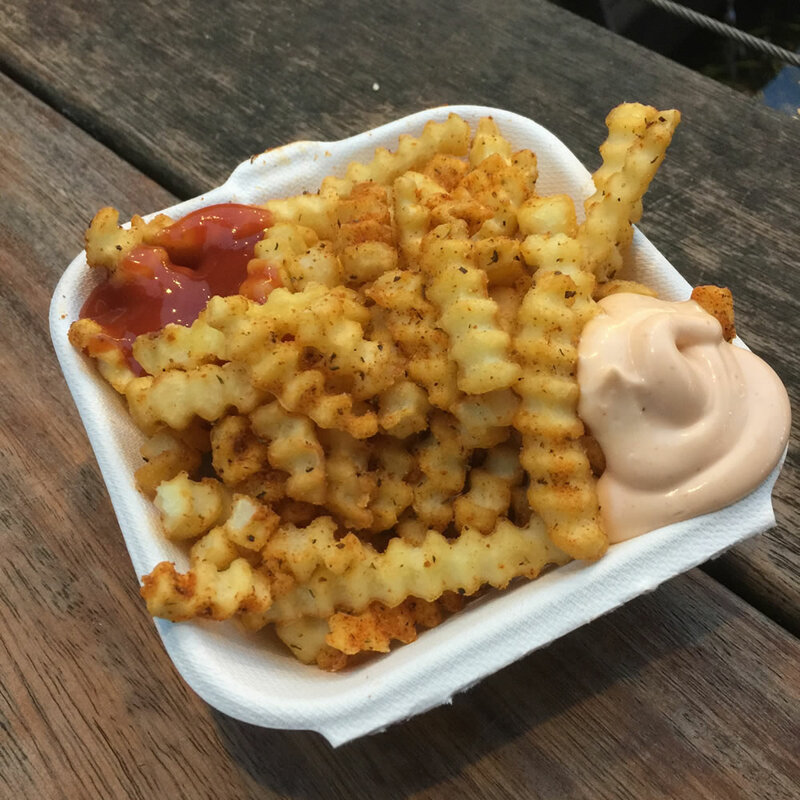 But, for a street food eatery, I’m not convinced It was worth £10, as I was still quite hungry afterwards. To fully sate my hunger it looks as though I would need to buy a double, and the total would be (with a portion of chips) £17.5. Hmmm, not impressed Burger and Beyond, not impressed. Cajun chips were pretty nice, especially with some smoked mayo on the side.